Patent Classification Definitions explain the scope of each patent class, what is included, and what is excluded. 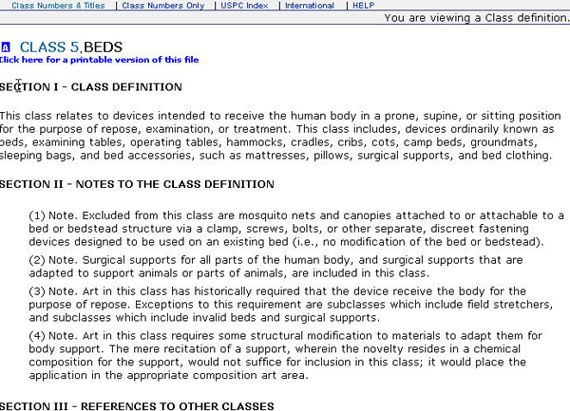 Patent subclasses are also defined. Patent Classification Definitions also provide referrals to related classes and subclasses. 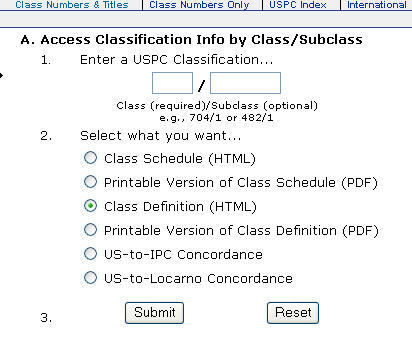 The use of Patent Classification Definitions is essential in selecting the correct class and subclass by which to search for relevant patents.